Ruth Martin, Associate Dean for Graduate and Postdoctoral Programs in the Faculty of Health Sciences at Western University, will be receiving the Vanguard Awards Innovator of the Year honor from WORLDiscoveries for commercialization and entrepreneurship involved in developing the Abilex Oral Motor Exerciser, a device designed to exercise and strengthen the jaw, tongue and mouth for people who have difficulty swallowing. June is recognized as National Dysphagia Awareness Month. The following photos show our brave volunteers: patients, families, and caregivers who don’t let dysphagia hold them back. 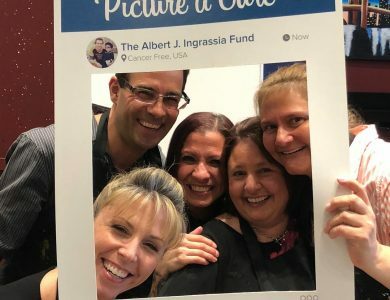 Thank you to our volunteers and generous donors who sponsored our social media campaign to help raise funds for dysphagia advocacy, support, education, and research! 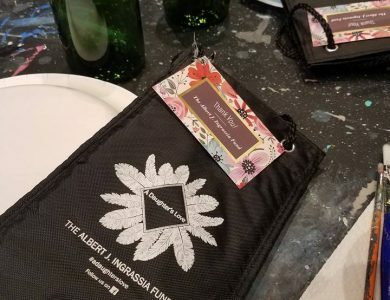 I founded the Albert J. Ingrassia fund after my father fought a very long brave battle with complications from Stage IV head and neck cancer. He suffered from severe dysphasia and spent the last four years of his life living on a PEG tube, unable to eat or drink orally. When my father lost his ability to eat, I lost a tremendous piece of my heart. Our entire society revolves around food and meals. For people with dysphagia, like my Dad, life as you know it ceases to exist. Several studies conclude that between 300,000 and 600,000 individuals in the United States are affected by a neurogenic dysphagia each year. 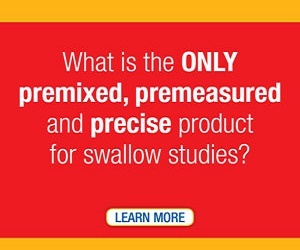 10 million Americans are evaluated each year for swallowing difficulties. 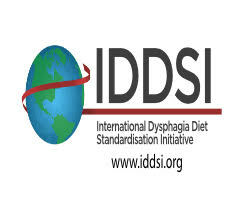 Because this disorder cuts across so many diseases, dysphagia is poorly understood and often under diagnosed. 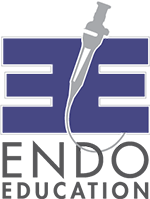 It is my personal mission to raise awareness and help the countless patients and families living with dysphagia. 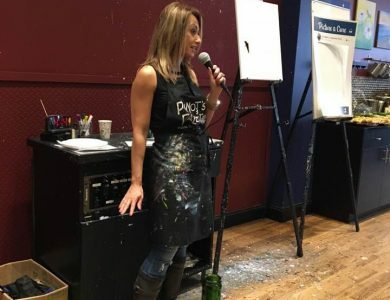 Each year, I host Paint and Sip night where a portion of the ticket sales go to the Albert J. Ingrassia fund, a special endowment fund with the National Foundation of Swallowing Disorders. 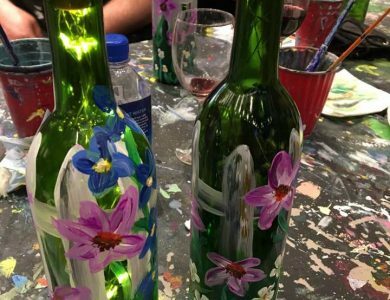 On May 6th, nearly 45 people attended the Albert J. Ingrassia Paint It Forward held in Red Bank, NJ. We are truly blessed to be supported by so many people and to have held this event for the second year in a row. Words cannot describe how incredible it was be surrounded by people who are touched by our mission and story. To know that our efforts are truly having an impact is what continues to motivate us. You are invited to participate in a contest showing the world how you have been creating culinary delights using the IDDSI Framework. Who can enter? Everyone! You can enter as an individual, a family, a corporation, a restaurant, a healthcare organization. 3. 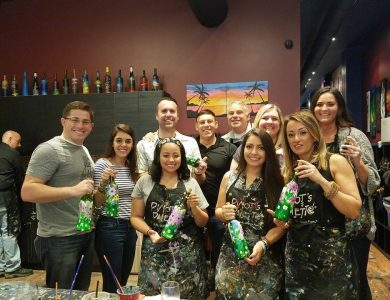 Like and share your creation on Facebook with all of your friends! 1. All videos will be viewed by an expert panel of judges and the top 5 entries will be selected for voting by the global audience. 2. 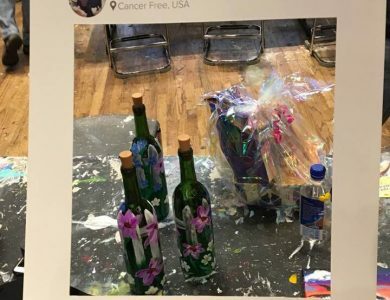 Vote using ‘likes’ to choose the winners. Winners will be announced and showcased on both the IDDSI and NFOSD websites. The University of Toronto released an article sharing updates on major initiatives and research being conducted by dysphagia experts such as Dr. Rosemary Martino and Dr. Catriona Steele, including how best to give dysphagia screening tests, which interventions work well for specific conditions, and how to create global standards to address swallowing issues.